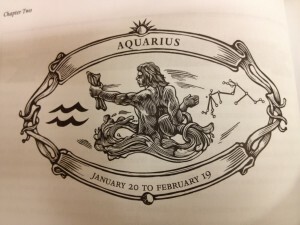 This month’s “Bodacious Business Horoscopes” entry features the zodiac system’s most unconventional visionary: Aquarius the Water Bearer. Aquarians march to the beat of a completely different drum (and they like it like that) from January 20 until February 19. But heed the concealed nature of the true Water Bearer. He or she has an internal mind-set that might take years to unravel. What Seems Odd to You Seems Perfectly Normal to an Aquarian: This zodiac sign’s telltale M.O. is the need for independent thought, no matter how quirky or far-fetched. The Water Bearer values independence as much as Sagittarius does, but it’s an independence that’s much more cerebral in nature. Associated with nonconformity and eccentricity, it’s likely the Aquarians swimming in your professional aquarium are the armchair philosophers of the office. These are people who go deep–sometimes too deep within their own ideas. Best gifts for your workplace Water Bearer lads and lasses: a digital voice recorder, lifetime access to the Onion, a sign that says “Welcome to the Emotion-Free Zone,” a membership to the nearest museum of contemporary art, and a hot-air balloon ride. A Keen Intellect Is Why Aquarius Gnaws At Your Company’s Boundaries: Aquarians are the most fearless, original thinkers you’ll ever work with or have as an immediate supervisor. You say no one at your company can figure out how to turn around an under-performing product or service? Leave it to a Water Bearer to blow away the mental cobwebs and inject fresh air into your same-old solutions. However, Aquarius doesn’t necessarily share ideas willingly. Also, prepare to have your conventional habits disturbed by this sun sign’s unconventional viewpoint. Your Aquarians’ most positive traits: thoughtful and caring, independent thought and action, original and inventive, strong sense of humanity/humane causes, intensely interested in people. Whether related to you by blood or non-disclosure agreement, you can depend on Aquarius to grasp the angle, pitch, or unique selling proposition that eludes you and other employees/peers. It’s possible the Water Bearers at your company are kindred spirits with the Oracle at Delphi. Breaking Your Promise to an Aquarian Boss or Employee Is Akin to a Professional Drowning: All zodiac signs have their negative traits, and Aquarius is no exception. Naturally, Aquarians will never disappoint regarding their ability to spin product concepts or marketing ideas from wispy tendrils of air. But be advised: As the zodiac’s primary eccentric, the Water Bearer isn’t likely to conform to your company’s rules. Some of the not-so-attractive characteristics associated with Aquarius: can be tactless and even rude, a quirky sense of humor bordering on the perverse, is sometimes self-absorbed, lack of confidence, emotionally distant. All Aquarian Career Paths Lead to Some Aspect of Humanitarian Work: People born under this zodiac sign crank out novel ideas through their deep thoughts. They tend to thrive in careers that demand a lot of experimentation, investigation, and/or analysis. For an Aquarian, all that cogitating is best done by serving the human race in some life-altering way. The range of careers that appeal to Water-Bearers includes scientist, charity worker, inventor, archaeologist, engineer, and humanitarian aid worker. But you’ll also find barrier-breaking Aquarians following their oxygenated dreams in the performing and visual arts. A Completely Speculative Business Interpretation of the Water Bearer’s Astral Assets: Here’s something you don’t see every day–a business interpretation of a zodiac sign’s ruling planet, lucky day, lucky numbers, and primary colors. Does Aquarius the Water Bearer rule your birthdate? If so, did this profile trigger any disagreeable head-shaking from you regarding accuracy? What other interpretive traits would you add to this zodiac sign from a business perspective? For those of you with a birthday dwelling in another house, it’s possible I prognosticated about your zodiac sign’s mysterious ways in a previous blog post. Toward the end of February, I’ll swim with the astrological fish(es) of the zodiac system: Pisces.